Life transformation is typically a gradual process. We tend to focus on the sudden change stories, but even there, when we dig deeper, we tend to find a process that was ongoing for a while. We can pray for and celebrate the big breakthrough moments, but let’s not forget that God is patiently building the church at all times. Be patient with the church – By all means preach with expectancy and pray for monumental change, but remember that God has his plans and purposes at work constantly in all the lives that make up your church. This Sunday’s message is part of that, but God isn’t building his lifetime transformation plan around one sermon. Be patient with key people in the church – Everyone matters, but sometimes there is one person who dominates your thoughts and prayers for a season. It could be a so-called “well-intentioned dragon” – a sometimes constructive critic whose stings have gotten your attention. It could be a person of political influence with their complex motive-set. It could be an energy-draining individual who needs us to give (and forgive) more than we feel able. Pray for wisdom, strength, and patience. God is at work, but rash moves tend to backfire. Be patient with yourself – Sometimes it only takes one negative comment, or a feeling of failure, and suddenly the personal weakness list can seem overwhelming. Before we know it, we have determined, in our self-god sovereignty, that this week is the deadline for definite transformation. Slow down. By all means do look to God and lean into the changes he wants to bring in your life. But don’t determine that its now or never and then exasperate yourself with an ungodly panic. He is at work and we need to be patient with ourselves as well as others. 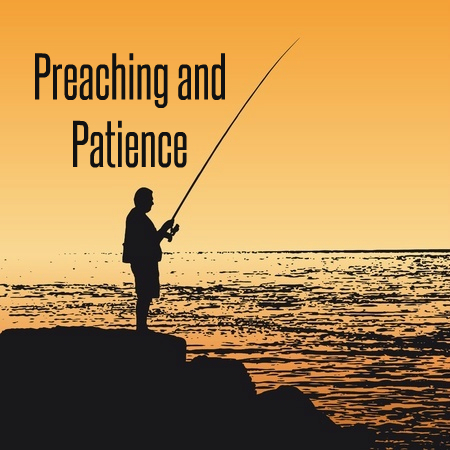 I am not saying we should weaken our ministry with low expectations, excuse a lack of God-stirred effort as patience or settle for the sometimes easier option of not addressing a difficult situation. I am simply remembering that God is able to walk at 3mph, yet while we fuss and moan about the lack of transformation, he takes us incredible distances.